In addition to builds for Windows and Linux, the WinRAR developers release and constantly update the version of the archiver for Mac OS and entitled it as simple - RAR. 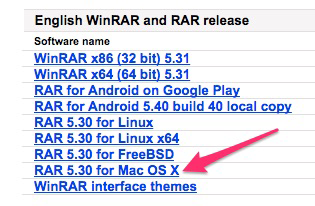 Considering the fact that there is no GUI (graphical interface) for this specific version of WinRAR, the user needs some knowledge in order to know, how to use the archiver in the operational system from Apple. 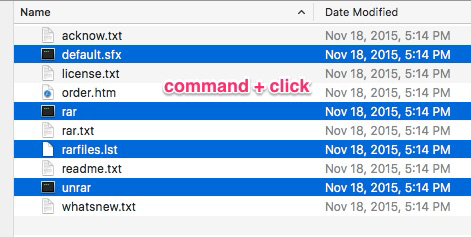 In this article I will describe how to use WinRAR (RAR) for Mac OS and what commands you should use in order to compress and decompress the files from the archive. Let’s start! paste the copied files into the “bin” folder (you will require a password in order to complete this action). 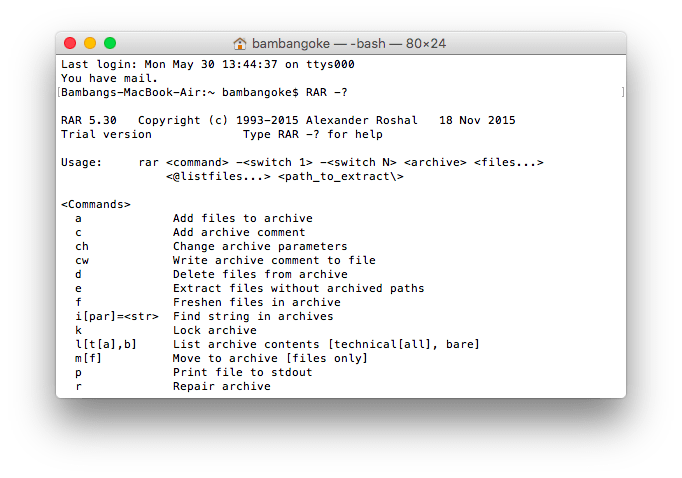 type the following command without brackets and colons: “rar a source directory name archive name.rar”. In this command you should replace the source directory name and archive name parameters with the corresponding values. As a result, the contents of the source directory will be added to proper archive with defined name. the contents of the RAR-file will be decompressed into the active folder. If you want to operate with RAR-archives using graphical interface, the standard RAR app won’t allow you this possibility. Instead, you may use some of the different archivers, which apply the RAR module as part of its primary functionality (like The Unarchiver, for instance). In case you choose such an app, you won’t need to install RAR separately, cause apparently this module Is included into the distributive package of such a program tool. Hopefully, this instruction “How to use WinRAR for Mac OS” will help you to get acquainted with the archiver functionality closer.